Learn how to sail, to go windsurfing, to build your own raft, to go kayaking, to leqr; and use survival skills, to use gps, to light a fire, archery, and many more outdoor & aquatic activities at Sport4kidz. On our location at Outdoor & Aquatics Jeugdland, we organize a range of activities for children! Mindful of ‘Learning By Play’, we want to introduce as many children as possible to the joy and fun of outdoor & aquatics. Our offers include, amongst others, drop-in games, children’s parties, sports days and sports camps, sports for schools and after-school care (BSO) and (sporting) clubs. The following information will tell you all about we can do for you. Interested? Please contact us by phone and/or the following form! From May until September, except for the summer holidays, we organize a variety of drop-in activities at Outdoor & Aquatics Jeugdland. The drop-ins vary per week, but our ground rule applies to all of them: Learn By Play! Activiteit: Aquatic fun and aquatic sports, raft building and relays on water. By liking our Facebook page, you’ll be able to receive last-minute information on our drop-in activities. 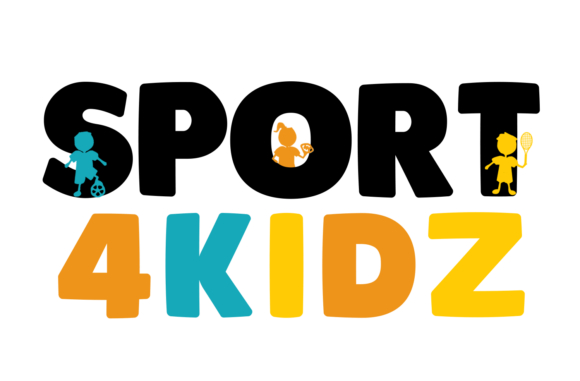 Sport4kidz organizes a variety of entertaining and sporty children’s parties at our location Outdoor & Aquatics Jeugdland, East-Amsterdam. We’re offering kayaking, sailing, SUPing, windsurfing, learning to use gps, learning and using survival skills and archery. Read about our arrangements here. Questions? Please contact us using the following form. Calling up all fishes! When you’re aged 6 until 12, our summertime Outdoor & Aquatics days and/or camps are made for you! These days and/or camps will take place during the May holiday and during the Summer holiday. Besides, we’ll organize a few special themed weekends, all about outdoor & aquatic sports.Read all about our arrangements here. By now we have been organizing some highly successful activities for primary and secondary schools, after-school care (BSO)and (sports) clubs. We can offer your a 90 minutes program for a small group of children or a completely organized outdoor & aquatic sports day for several forms of schoolchildren. Outdoor & Aquatics Jeugdland, East- Amsterdam: your perfect location to do something different! Curious to learn more? Please contact us by using the following form. This year as well we will rent out aquatic materials. Further information will follow.